For centuries, classical composers have realized a rich source of inspiration in the intrigue, romance, pathos, and whimsy found in a wealth of fairytales and princess stories. 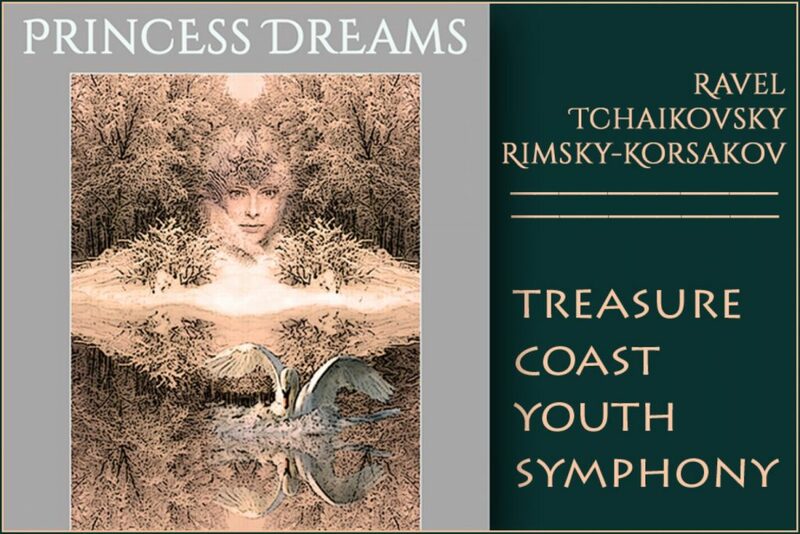 PRINCESS DREAMS, as part of the 30th Anniversary concert season of the Treasure Coast Youth Symphony, brings some of those great works to life. This performance includes Ravel’s PAVANNE FOR A DEAD PRINCESS, Tchaikovsky’s SWAN LAKE, and Rimsky-Korsakov’s beloved work, SCHEHERAZADE in a performance fit for a king. Educating to preserve, create, and celebrate our musical heritage, the Treasure Coast Youth Symphony continues to serve our community as one of its finest musical arts organizations for young musicians and orchestra audiences since 1987. The Treasure Coast Youth Symphony is a non-profit, 501(c) (3) organization.